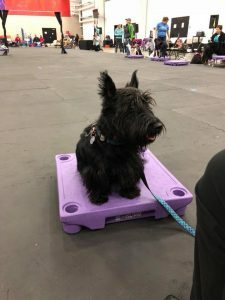 Pedestal training is an AMAZING tool to teach your dog. 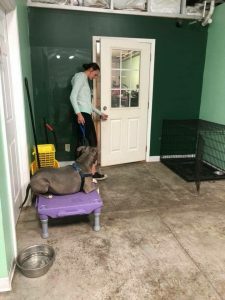 With just one tool you can have your dog by default completing an array of behaviors such as a stay, a leave it, a place, and a focus all in one! 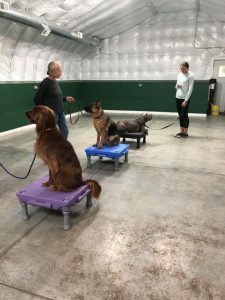 Pedestal training is also great for helping dogs build confidence and strength. Plus it’s just plan FUN! 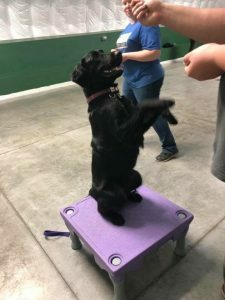 This class will go over teaching your dog the significance of the pedestal, how to use the pedestal to prevent unwanted behaviors like jumping to greet guests, begging at the dinner table, or darting out the door, and some fun games and tricks using the pedestal. 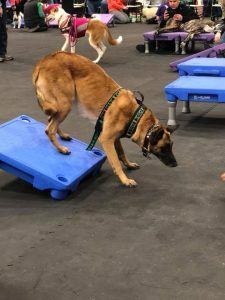 Fun with Pedestal Training is a 4 week class and costs $75. 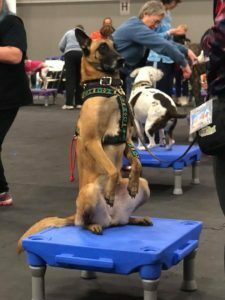 Dog must have completed our Doggy Manners class or have permission from our trainer to enroll in this class. To see when our next Fun With Pedestal class is starting please check our group class schedule.